To help students face life’s challenges, teachers should seek to help them develop a broad set of skills. Possessing a positive perspective is but one instrument in what must be a cohesive quartet that meets each child’s fundamental needs. Growth mindset is indeed crucial, but not any more or less so than three other sets of readiness. Educators must nurture the whole child. The following four core capabilities are equally important and inextricably intertwined. 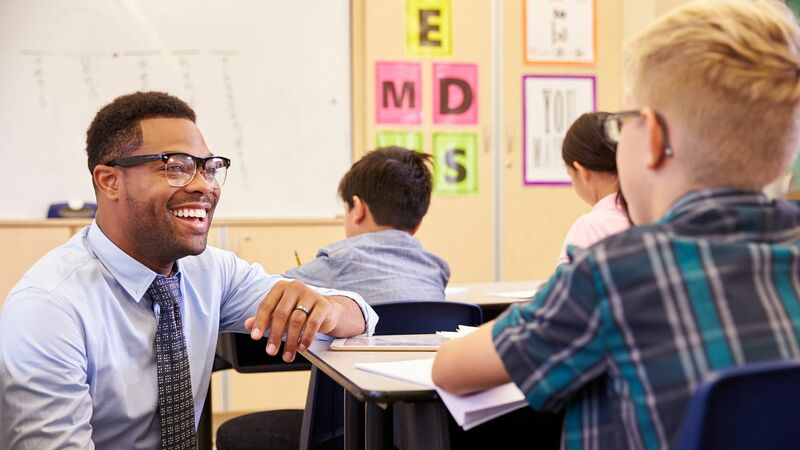 Practicing growth mindset: Growth mindset consists of assurance, adaptability, and an openness to accepting assistance, so embolden your students by extending to them sincere encouragement and empathy. An attuned and attentive teacher cultivates the self-monitoring we want all children to ultimately acquire. Growth mindset also strengthens resolve and shores up resiliency. This indefatigable outlook—augmented by focus, persistence, and calculated effort—is an essential aspect of being truly college and career ready. Yet merely working hard does not guarantee results; instead, we must teach students how to work smart. Pursuing strong skill sets: Strong skill sets back up all that belief, exertion, and perseverance. Without dependable dexterity and solid strategies, mindsets alone do not amount to much. Equipping students with practical capabilities develops the eventual self-efficacy that turns conviction into success. As facilitators, we can assist students in moving beyond being passive consumers of information and toward becoming active producers of insight and innovation. Setting an example: Progressively behaving in ways others should emulate demonstrates true responsibility and reliability. Of course, kids cannot set examples for others until the significant adults in their lives have themselves set good examples. Along with being role models of integrity, teachers should entrust youngsters with developmentally appropriate opportunities to act independently and conscientiously. Children develop self-control only when they have been granted suitable experiences of actual control from which they can learn and grow. Setting one’s heart: A focus on that which is personally meaningful makes all the previously explained work and willpower worthwhile. Pursuing ambitions that deeply resonate and holding fast to dreams drives engagement. Unless someone has exposed kids to new experiences and ideas that allow for exploration and experimentation, however, many students do not spontaneously express their desires or refine their talents. Teachers must actively inspire and endorse their student’s passions. Armed with this powerful combination of social, emotional, soulful, and academic tools, every child can handle eventual setbacks (and even the pressures of success) with humility, humor, and honor. As important as it is for every person to possess a balance of interpersonal, intrapersonal, aspirational, and intellectual capabilities, expecting anyone, especially a child, to perpetually maintain positivity and productivity is not only unrealistic, it is unnecessary. Sometimes it’s natural to temporarily fall back into a fixed mindset. In fact, the researcher who developed the definition of growth mindset, Carol Dweck, recognizes that we are all combinations of fixed and growth mindsets—and she asserts that this dualism is (gasp!) perfectly OK.
Everyone occasionally doubts, worries, or flirts with giving up, especially when objective evidence sparks brief bouts of despair. Yet we can also teach that there is always plenty of progress and promise to dwell upon—if we look for it. The key is to process all of our feelings so that we can quickly get back on task with the faith, grace, and gratitude that in due time will help us reach our intended destinations. The trust, tranquility, and thankfulness that accompany a student’s initiative and strong work ethic transform their education journeys into glorious adventures that become just as sweet as reaching carefully calculated objectives. A sense of excitement and an ability to cope with adversity are the rewards growth mindset offers when students accept struggle, embrace challenge, and overcome obstacles. Student engagement always matters because passion and purpose can be elevated into engendering real commitment and because pursuing our muses always leads to deep contentment and meaningful success. The avenues to this self-actualization are found in a holistic teaching approach that expands well beyond mindsets and creates classrooms filled with willingness, wisdom, wonder, warmth, and worth.